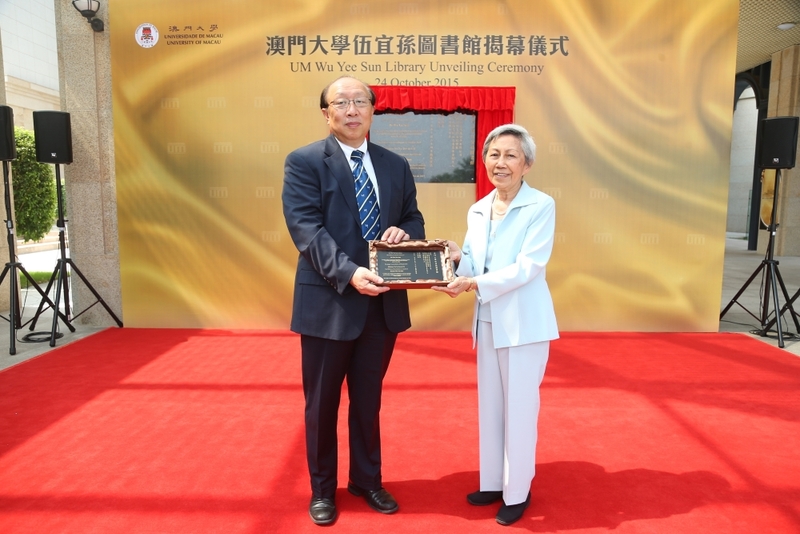 To show gratitude for the support from the Wu Yee Sun Charitable Foundation Limited (“Foundation”) and their generosity in supporting the development of the University, the University of Macau (“UM”) has recently held an appreciation plaque unveiling ceremony for the UM Wu Yee Sun Library. Dr. Michael Wu, Chairman of the Wu Yee Sun Charitable Foundation Limited together with the Wu’s Family members and other guests were invited to the unveiling ceremony and campus visit last Saturday The ceremony was officiated by Dr. Lam Kam Seng, University Council Chair, Prof. Wei Zhao, UM Rector and Dr. Daniel Tse, Chair of the Executive Committee of the University of Macau Development Foundation, Ms. Wong Ng Po Ching, Mrs. Yip Wu Po Liang and Mrs. Liu Pao-Hsieng, Directors of the Wu Yee Sun Charitable Foundation Limited. Mr. Norman Wu, Director of the Wu Yee Sun Charitable Foundation Limited expressed that the Wu’s Family had been living in Macau for a period of time in the past and had a deep feeling attached to Macau. The Foundation wished that the contribution made could help promoting UM and the development of the Macau community. An appreciation lunch to the delegations of the Foundation and their family members was hosted by Dr. Lam Kam Seng, University Council Chair after the ceremony. 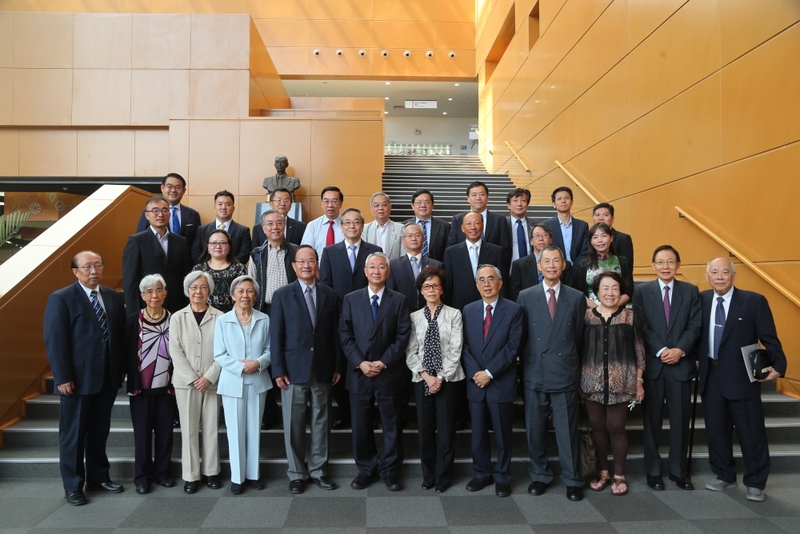 The Wu’s Family then visited the Wu Ho Man Yuen Health Resources Centre, Faculty of Business Administration Building and Cheng Yu Tung College afterwards. The Wu Yee Sun Charitable Foundation Limited was established in 1982 in supporting various charitable causes. Dr. Wu Yee Sun was the founder of the Wing Lung Bank who made tremendous supports to the development of the higher education. 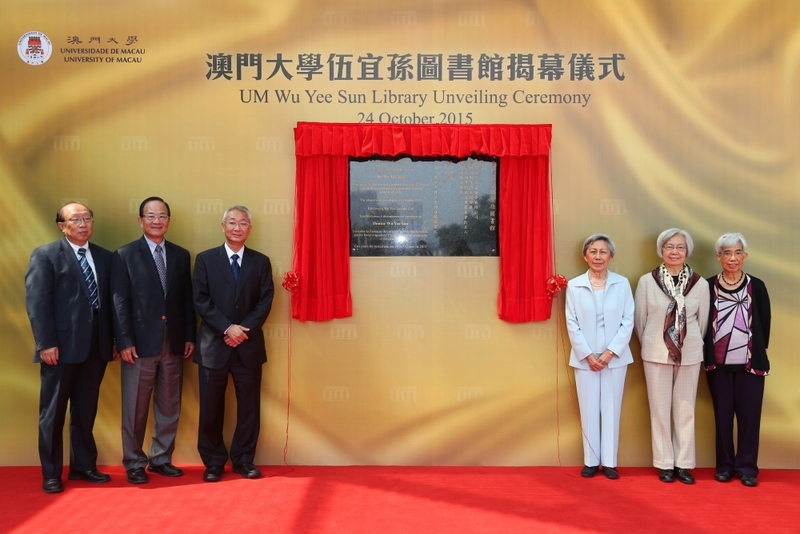 In order to express sincere thanks to the contribution made from the Foundation to the University, UM Wu Yee Sun Library was named. The Wu Ho Man Yuen Health Resources Centre located at the UM Sport Complex was also named in recognition of Madam Wu’s nursing profession.